Tom Southerton (right) was born and raised in Rochdale – a town situated on the fringes of both Greater Manchester and neighbouring Lancashire in the North of England. Having spent a number of years as a youngster in Hong Kong, his heart was won over by the East and in 2010 he made the journey back across the world to Fukuoka, Japan. By this time, Tom was a highly proficient double bassist and multi-instrumentalist and was already looking out for players who shared his musical ideas and philosophy. Residencies at the Hilton SeaHawk and a string of freelance gigs afforded Southerton these opportunities and it wasn’t long before he was performing alongside Fukuoka’s maestro pianist Tachibana Yoichi. Tachibana Yoichi (left) was born in Fukuoka Prefecture, Japan. He began playing music with piano and violin lessons at the tender age of three before excelling at the piano under the tutelage of Takeichiro Yasunaga. In 1983 he graduated from the Kyushu Symphony Orchestra and has since gone on to train most of Fukuoka’s jazz vocalists. He’s responsible for over 1600 original piano compositions – earning him the title ‘The Amazing Composing Machine’. Prior to the completion of the trio, Southerton and Tachibana performed numerous gigs together under the moniker of ‘TomTach’ before both agreeing to find a drummer. After several auditions, Ito Kooryo was recalled from Yoichi’s memory and after a successful spell of rehearsals, recordings and shows was confirmed as the trio’s final member. Ito Kooryo (centre) was born in Fukuoka Prefecture, Japan. He first studied music in Japan prior to moving to a vocational music school in Los Angeles. In 1996, Kooryo returned to Japan, starting up his ‘Kiss Musique’ studios there. Currently a Canopus endorsed percussionist, Kooryo offers tuition and support to many of Fukuoka’s musicians. 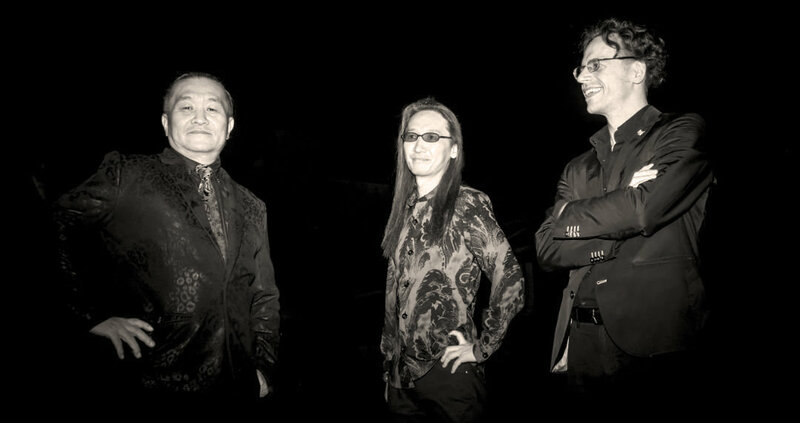 Since the completion of the trio’s line up in 2015, the band have extensively toured Western Japan, establishing themselves as an integral part of Fukuoka’s burgeoning live jazz scene. This has culminated in two studio albums, both recorded at Kooryo’s ‘Kiss Musique’ – Clear Speaking (2016) and More Mood (2017).